I went by a thrift store today, actually I was there a few days ago asking for old cameras, they didn’t have any but the lady at the counter said she had some at home, and would bring them the next time she was at the store – which was today – and I was more then welcome to drop by and see if there was anything I liked. She also asked me if I would help her unloaded a film there was in one of the camera’s, the camera’s had belonged to her father, who died in 1999, and she thought that maybe there was some photo’s of her father and mother from their golden wedding anniversary on there, I, of course, said yes. 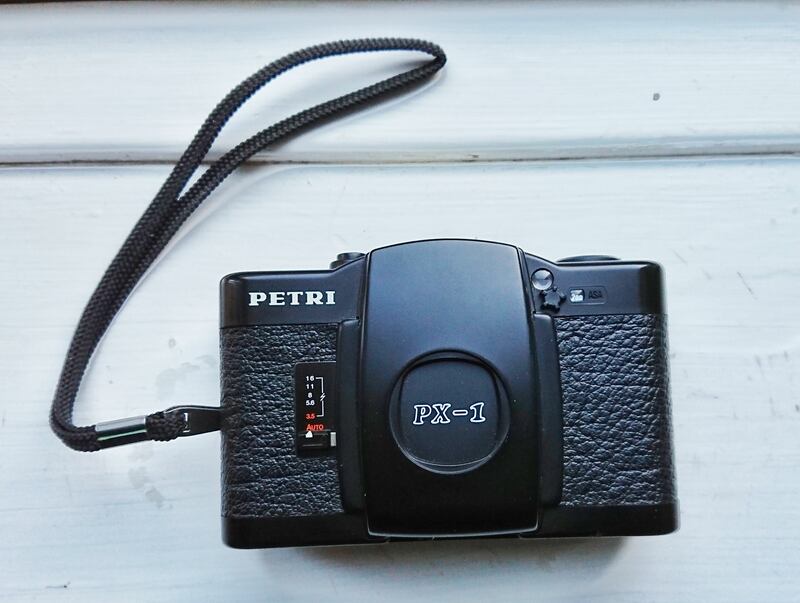 One of the cameras was a Petri PX-1 – with the original box, manual and a PX-11 flash – which I googled and e-bayed – as I do with all the camera’s I buy – but nothing really pops-up regarding the Petri. I know it’s a rebrand of the Cosina CX-1, and they share the same specifications. But I wasn’t able to find any Petri on e-bay. Anyway, I only paid $4 for it so I’m pretty sure I haven’t overpaid for it. I just added one of the films I got today, so time will tell if it’s really working or not.